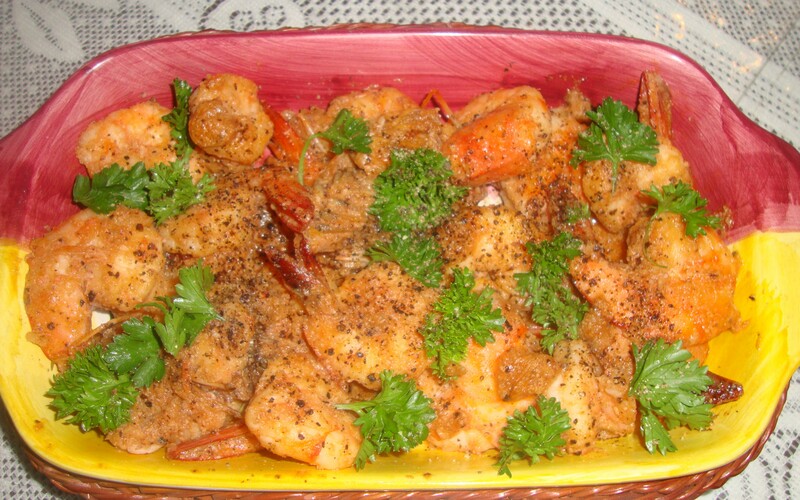 Prawns… The word brings water in my mouth.. I start to salivate virulently… I just cannot seem to control myself.. I am terribly fond of seafood but nothing can replace this one.. . The sheer variety and the endless possibilities that you can create with this mere insect.. (well prawns are a kind of insect believe me) is just awesome.. Probably every cusine in the world ( well most of them) would have some kind of delicacy dedicates to Prawns.. So I hoped to the fish market other day.. and my regular carp and cod and haddock stocked my fish monger, a very chirpy guy pointed to the fresh warter prwans.. Well fresh water prawns are much tastier so I had to buy them.. 1 kilo got me 35 of them not bad… I knew I had to make something with it or atleast a part of it as soon as I got home..
Prawn in Butter and Garlic sauce with a hint of red pesto..
garlic cloves chopped into tiny morsels. Now heat a non stick pan . Add the olive oil and the butter. 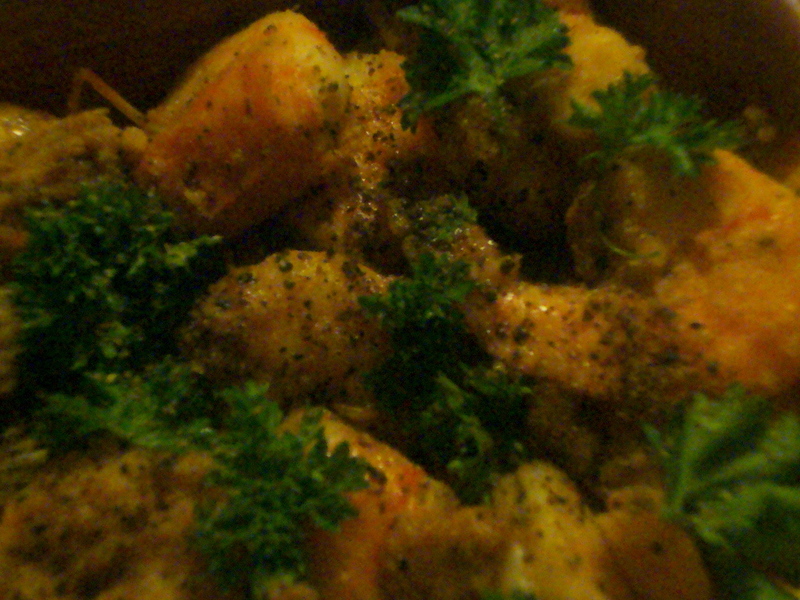 Add the chopped garlic and fry till it is light golden brown.. Add the prawns and let it cook for 5-6 mins, should not take longer than that.. Add the pesto sauce and mix it well.. by now the juices from the prawns and the butter and olive oil would have mixed well with the pesto sauce giving it a nice orangish reddish tinge.. It the prawns seem tough, let it cook for another 5-6 mins.. It should be ready by now.. add the salt and freshly ground pepper and then just before serving add the parsley leaves.. There you are!! Next Post Broccoli and Mushroom Stir fry..